MakeMyTrip bring with an exclusive offer on the domestic flight booking: There is no need to apply any coupon to get the offer. Offer applicable for all users. Schedule your booking 15-20 days in advance to get best fares. You can plan your Trip Delhi- Mumbai, Delhi-Pune, Jammu-Srinagar, Delhi-Amritsar, Delhi-Lucknow, Delhi-Chennai, Mumbai- Amritsar, Delhi-Goa, Ahmedabad-Bangalore, Bagdogra-Guwahati and many more cities. Offer is valid for the limited period so book now. 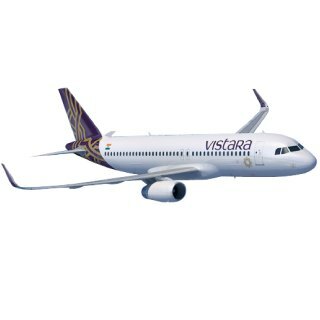 How to Avail MMT Vistara Valentine's Day Sale Offer? Celebrate your love for flying with the Vistara Valentine’s Day Sale! The Sale fares are available for all three classes of travel at discounts of up to 80% relative to the standard last-minute fares on all routes served by Vistara. Fares for Economy Class start at INR 899, Premium Economy at INR 1,499 and Business Class at INR 5,499, inclusive of all taxes and fees. Bookings are open till 23:59 hours of 13th February 2019, for travel between 27th February 2019 and 18th September 2019, both dates included. Visit MMT Vistara Valentine's Day Offer Page. Book your domestic flight tickets. Get Economy class ticket starts @ Rs 899. Make the payment and avail the offer.